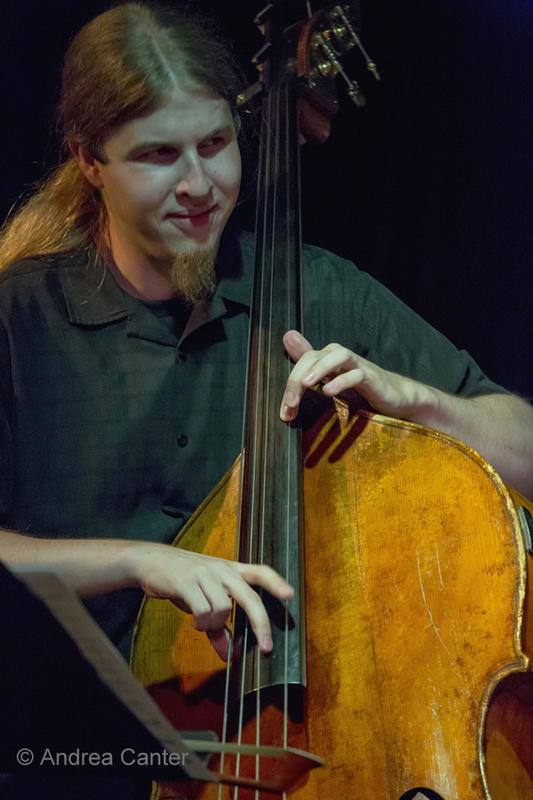 JazzInk: Bass Clef: The Artists Quarter Becomes the "Hall of the Mountain King"
Bass Clef: The Artists Quarter Becomes the "Hall of the Mountain King"
Last night (August 15th) was a bonanza evening for lovers of jazz bass. The only drawback – two much-anticipated gigs, some 12 miles apart, at about the same time: At Jazz Central--that little studio with a growing fan base and ever-expanding schedule of innovative projects on the Southeast/Northeast boundary of Minneapolis, two generations of bass veterans were scheduled for pas a deux, avant garde style. Every second Wednesday for the past six months, Chris Bates has hosted an improv evening, inviting like-minded pals to interact along an unplanned path to jazz Nirvana. Last night, his guest was former mentor and internationally renowned bass man Anthony Cox. What glorious havoc would these two create? 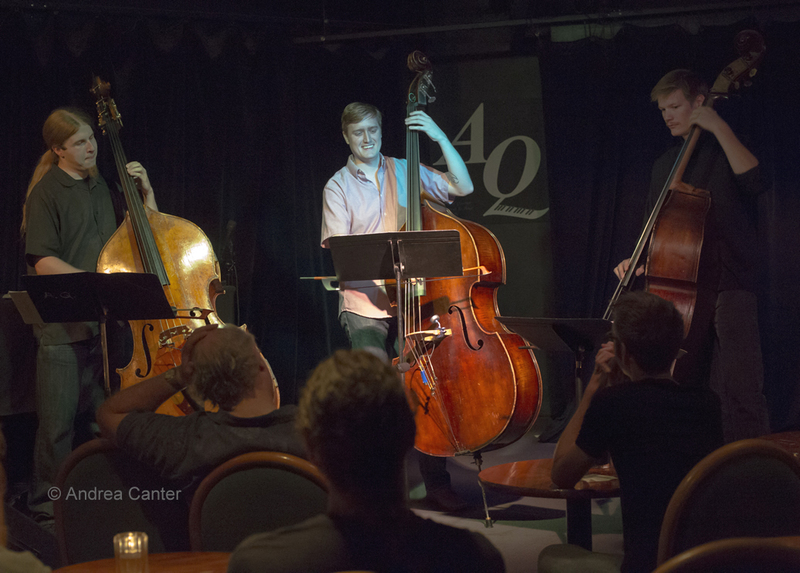 At the Artists Quarter, three still-young bassists dubbed themselves Mountain King, arguably the first jazz bass trio to perform publicly in the Twin Cities. (So far, no one has claimed otherwise.) The only other bass trio I had seen was at the 2009 Detroit Jazz Festival, when John Clayton, Christian McBride and Rodney Whitaker turned the Pyramid Stage into a playground. 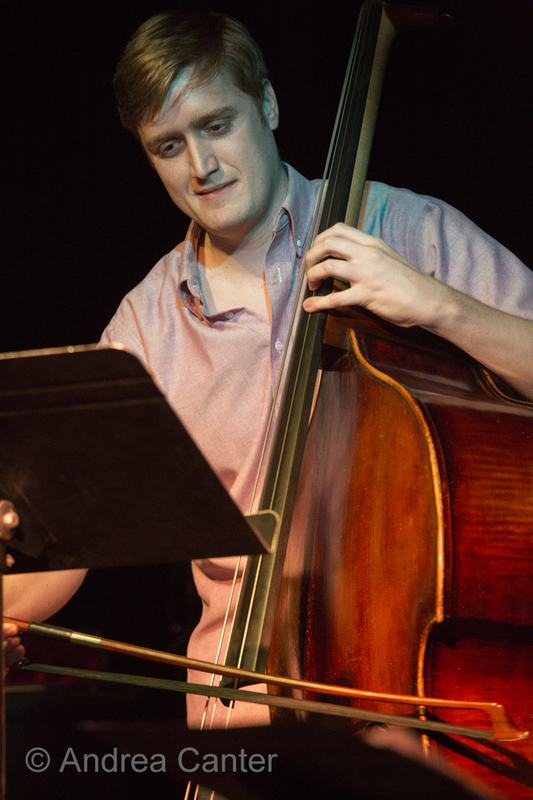 Here at the AQ, Graydon Peterson and Jeremy Boettcher, both products of the fine jazz program at the University of Wisconsin-Eau Claire, joined forces with relative newcomer Brian Courage, a 2012 graduate of the Lawrence Conservatory. All are very busy as sidemen, and Peterson with his Quartet, and Courage with his Courageous Endeavors, are making waves as bandleaders as well. How to decide? I opted for the ultimate cop-out—geography. At 9 pm I was only a few blocks from the Artists Quarter. As it turned out, the set had a later-than-usual start when Brian broke a peg. Within 30 minutes, he managed to find a “loaner” and helped launch the debut of Mountain King with the too-rarely-played Horace Silver gem, “Strollin.’” My familiarity with the tune solely comes from the delightful duet by Karrin Allyson and Jon Hendricks on Karrin’s Footprints. 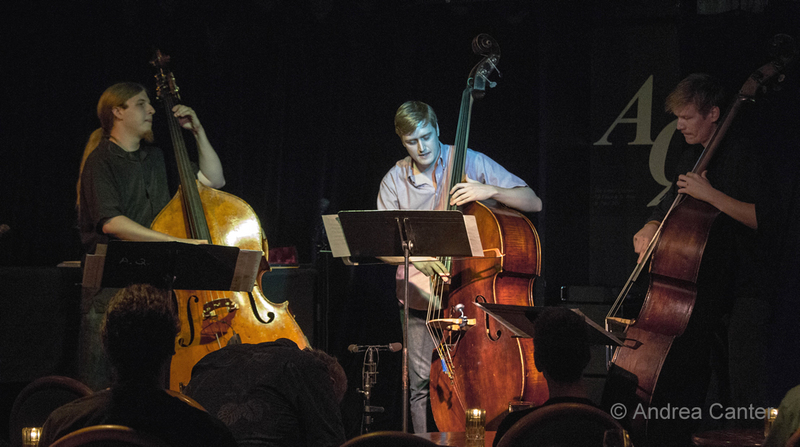 The bass trio was nearly as songful, equally swinging, and thoroughly engaging. It was an auspicious beginning, and all promises were fulfilled over the next 45 minutes. The back and forth among the musicians on Monk’s “Mysterioso” fit so well with the up and down of the tune’s famed theme that it is hard to imagine this was not Monk’s original intent. However, theme aside, much of the arrangement was more suggestive of Copland, or Frisell, than Monk, taking on a decidedly westernized country banter. And the set closer, a surprising arrangement of “Mack the Knife,” brought out the best in each soloist as well as their collaboration--charming, humorous, playful all the way. 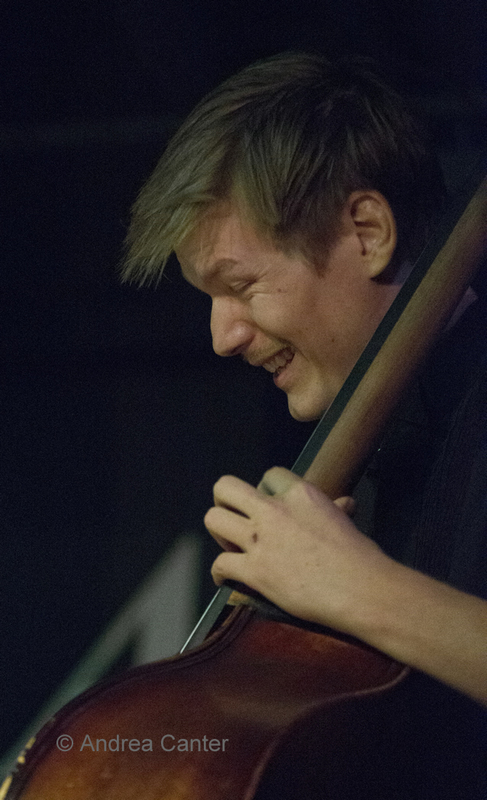 I’ve long felt that there is nothing more engaging in jazz than a solo bass performance. Well, maybe there is nothing more engaging than three bassists en masse. I’m sure those at Jazz Central listening to Bates and Cox found similar satisfaction. So what if there was a Bass Summit—maybe a quintet? Consider this my reservation. Regardless of geography.